Originally launched as Novalung Academy, present-day Xenios Academy is celebrating its tenth anniversary. With training courses, studies and clinical support, Xenios AG assists its customers in everyday clinic work in the field of extracorporeal lung and heart support. 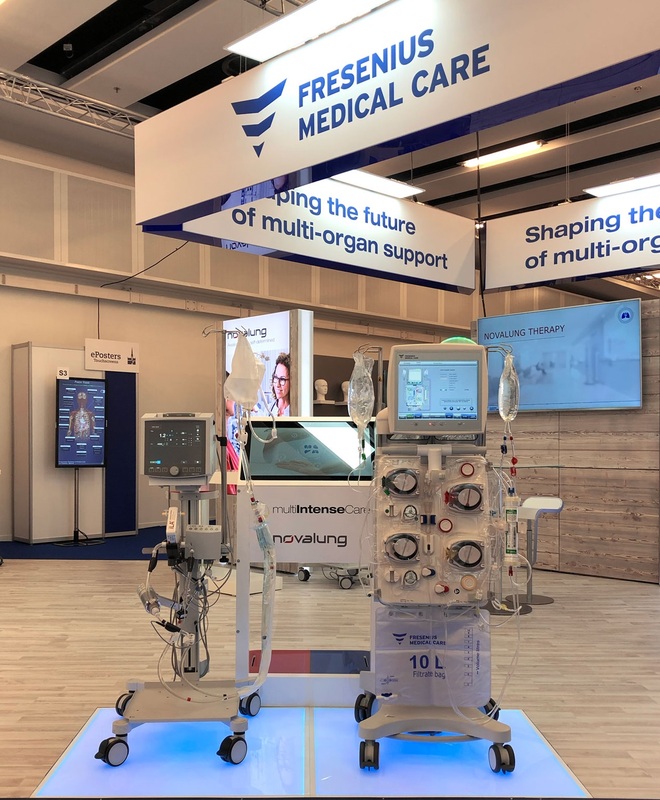 Having undergone many years of continuing development, the concept for knowledge transfer and increased safety for users and patients has now long proven its success. In 2007, Novalung Academy was created in Frankfurt am Main, a central location. The practical training course offerings designed for users of extracorporeal heart and lung therapies have been established over the years since then. Today, Xenios Academy offers nationwide and even global training courses conducted by professionals with many years of experience and training in intensive care medicine. With their extensive clinical experience, the external speakers know how to make the knowledge transfer challenging and practical. For doctors and nurses, it is an exciting challenge to implement a new therapy. To provide optimal support for this challenge, Xenios AG has now begun to offer a broad range of various course formats involving theoretical principles, practical exercises and training courses using the simulator. By limiting the number of participants in the courses, the company ensures that there can be intensive dialogue with the experts and amongst the participants. The Academy also brings its competence directly to the clinics, individual training courses can be conducted directly at the customer’s respective clinics on request. In addition to the aspect of knowledge transfer and safety for users and patients, Xenios AG also places particular importance on informative interaction. In the context of regularly scheduled events featuring exciting lectures, users can exchange ideas in stimulating discussions amongst each other, as well as participate in a round of dialogue with experts, whose in-depth knowledge thus directly benefits the users. Xenios AG thus offers professional support for both new users and long-standing users. The offering is made complete by the clinical support provided by Xenios AG, which ensures the customer receives 24/7 assistance. The company thus makes certain that the customer is never alone with important issues but always has access to a point of contact.